Hey everyone! Sorry for the super late post, the day kind of got away from me. 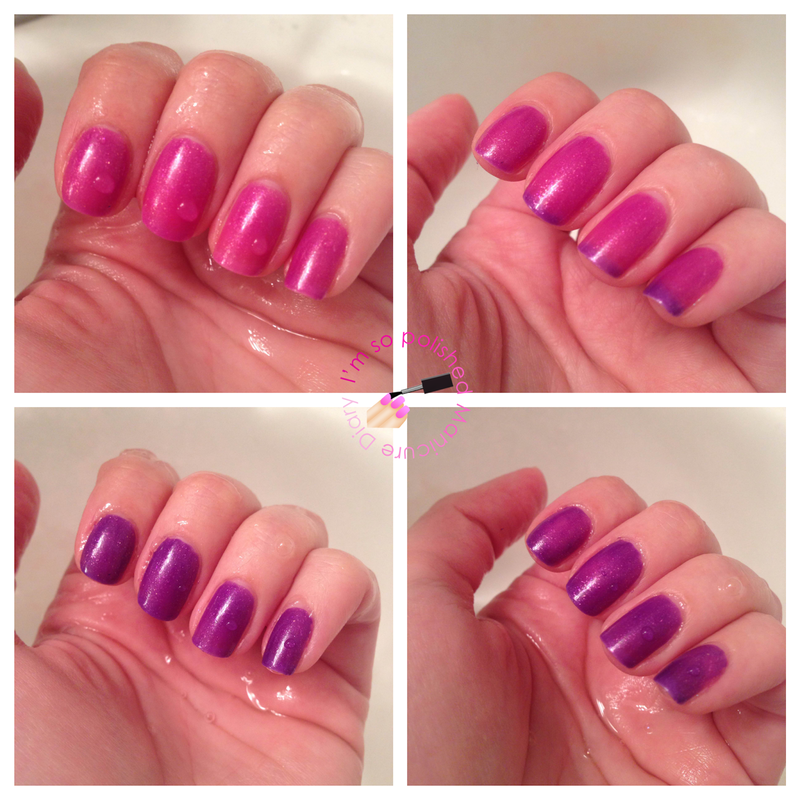 I'm so excited to share with you three thermal nail polishes from MidWest Lacquer. I've never used a thermal before and I have to say this was the most fun I've ever had doing swatches. The first one I swatched is Cincy Sunset. 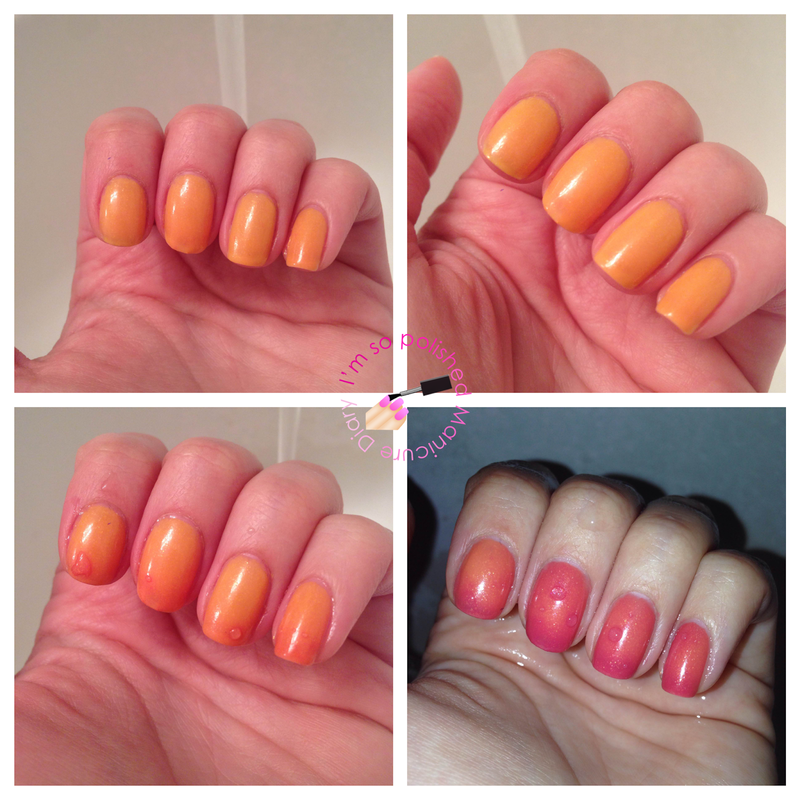 This polish is a gorgeous yellow-orange when it's warm and bright coral in the cold. It's also got pink micro flakes and gold shimmer. The transition actually looks like a sunset! I took the last photo with flash because my camera was not really picking up the coral. 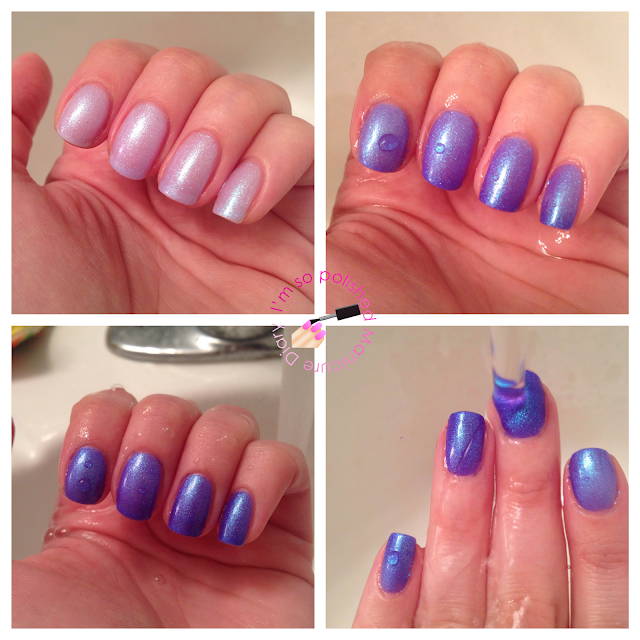 The next polish is endNF, which changes from a frosty sheer white to a gorgeous bright blue. There is an aqua to pink shift with some green shimmer. A portion of the proceeds from each bottle of this polish sold will go to the Children's Tumor Foundation to help endNF. What an awesome cause! The last polish is my favorite out of the collection. I saved the best for last! This is Popple (ugh, love that name) and it changes from bright pink to a rich purple. It is packed with purple micro flakes and pink shimmer. I'm obsessed. I honestly will be so distracted when I wear these colors. I'll have to show them to my kiddos at school, I think they would be amazed! I can just hear all the oohs and ahhs now. If you're interested in trying one of these polishes (or all of them, let's be real) you can head on over to http://vinylitup.storenvy.com. 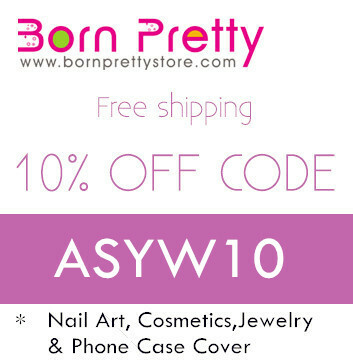 You can even pick up some nail decals or cuticle oil while you're there! I hope you all have a lovely weekend. My special Mother's Day mani will be posted on Monday!